So few more days to go. Preparing for my pre-wedding photo shooting. Time flies, I still remember we were telling each other that we still have time to prepare when we confirm on March. In just a blink, is already May. Went for shopping to buy nice shoes for photo shooting. I heard a lot about Christy Ng Shoes, but I never buy their shoes before. 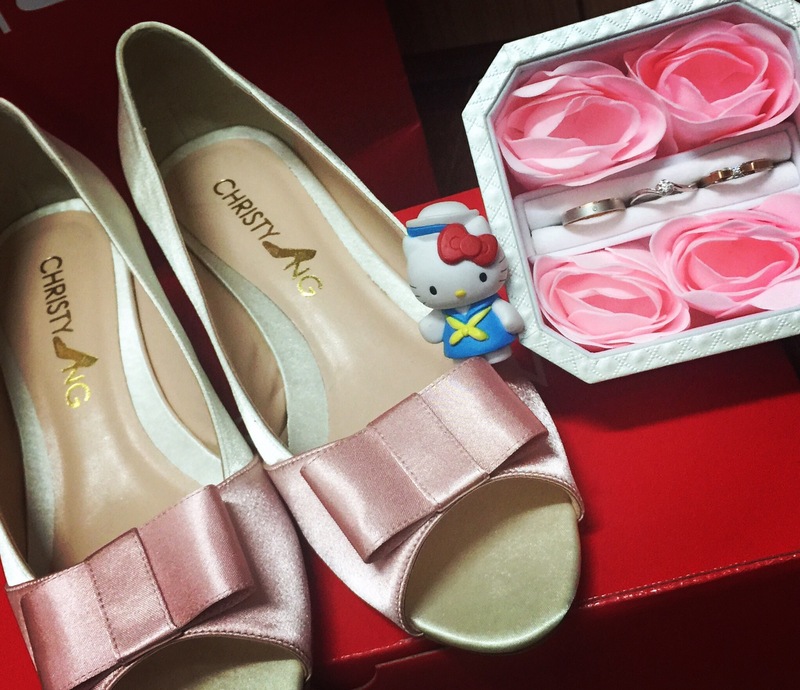 So when I shop around looking for nice design, I pass by Christy Ng shop and they have lots of beautiful shoes. My fiancé specifically chose this design because it matches one of my wedding gowns. I like it as well, is bit expensive because after GST is about RM200++. Still affordable because the design is very wedding feel and the material is satin. Take this time to Note down in my planner to add on my #colourfullife journey. Once a while is good to also remind myself how lucky I am. Thank you, god, for loving me. I will appreciate every single journey I am going through.